Introduction: The book probably was written in close proximity to the time that Assyria was replaced by Babylon as a world power, at least in that region. Assyria had overwhelmed Israel, the Northern Kingdom, in 722 BC, and Babylon crushed Assyria around 612. In 586 Babylon would take Judah and Jerusalem into exile giving rise to the Ezekiel’s prophecy, the narratives of Ezra and Nehemiah, Esther, Daniel, and eventually the prophetic work of Haggai and Zechariah. Habakkuk, therefore, precedes all this and sets the stage for a theological perplexity. 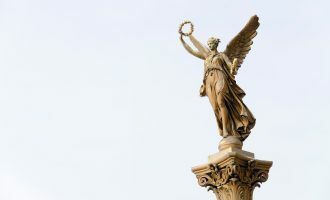 How does God, as a covenant keeping God, nevertheless manifests his strategic sovereignty over evil, rapacious, and uncovenanted peoples to manifest his own holiness, righteousness, and, yes, faithfulness to his purpose for the people that he intends to redeem? This struggle of Habakkuk, if taken seriously by the people about to be overwhelmed by Babylon, should have served as a key for the believing exiles to give them a persevering faith as they asked “Why are you cast down oh my soul?” and could respond to their own question, “Hope in God; for I shall again praise him, my salvation and my God” (Psalm 42: 5, 11). 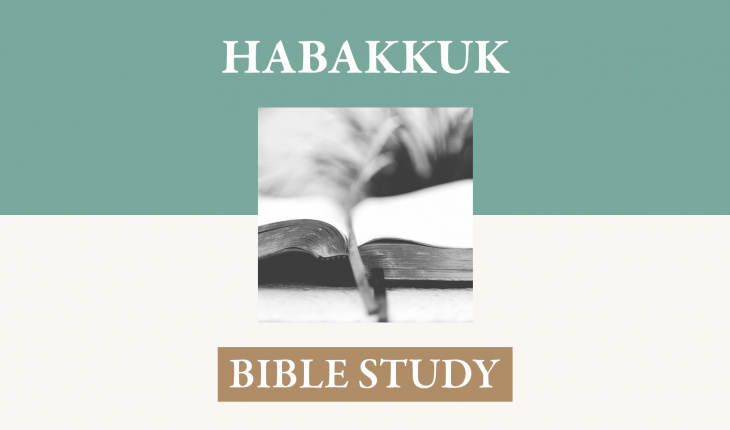 I. Verse 1 – Habakkuk is given an oracular vision from God. We see the two main aspects of prophecy in this oracle that God give to Habakkuk. A. First, Habakkuk is aware of the moral turpitude that has engulfed the people and cries to God for some way of correcting this. Thus we see the prophet as one that denounces moral evil and seeks to prompt the people to faithful conformity to God’s covenant. B. Second, Habakkuk receives a word and a vision of the future concerning how God will deal with the people. He does this to demonstrate his own righteous character and to develop long-term his covenantal purpose. Charles Spurgeon, following the biblical insight of Jonathan Edwards, in preaching on “Divine Destruction and Protection,” pointed to God’s motive in his actions of destructive judgments and redeeming mercies. He posed a question similar to Habakkuk’s: “What must that [God’s] motive have been?” He answered, “He creates that he may display his own perfections. He does beget, as it were, creatures after his own image that he may live in them; that he may manifest to others that joy, the pleasure, the satisfaction, which he so intensely feels in himself.” Habakkuk saw a vision, though it took a torturous path, that was designed to magnify the wisdom, holiness, and mercy of God. II. Verses 2-4 – Habakkuk raises a lament. 1. Habakkuk cries, but God “will not hear.” He presents this phenomenon as if God purposely ignores the righteous Habakkuk’s fervent request for divine intervention to put an end to injustice, as if God has lower moral concerns than Habakkuk. 2. Habakkuk points out violence, but God “will not save.” Increasing Habakkuk’s distress is the appearance of God’s lack of compassion for those that are being steamrolled by the might-makes-right syndrome of the culture in Judah. 3. Habakkuk sees iniquity (for God makes him), but God “idly looks at wrong.” Imagine! On an issue of ideas in which God’s own moral legislation is being disobeyed, Habakkuk becomes so distraught that he points to the possibility that God idly stands by. 4. While it is good for Habakkuk to be disturbed at rampant disregard for God’s moral standard, neither he, nor we, must think that God will fail at the right time to punish “every transgression or disobedience” with a “just retribution” (Hebrews 2:2). B. Habakkuk summarizes the major offense of the Society. Though God has given just laws that should create an even-handed, equitable, and even compassionate society, he finds something different and deeply disturbing. 1. He developed an unusual and powerful image. “The law is paralyzed.” It is on the books, so to speak, but none of those responsible for its enforcement have either the courage or the moral conviction to enforce it. Though justice is known propositionally, it “never goes forth,” for there are no just or lawful people in places of responsibility. A society of laws will work only when the moral purpose of the law is branded on the conscience of those responsible for its enforcement. III. Verses 1:5-11 – God gives a disturbing Answer. He is not sitting idly by but has a solution to this evil that truly is startling and will magnify his wisdom and his sovereignty over all nations, and that he may justly use any means he chooses to highlight his law as inviolable, and that none will tamper with its purity with impunity. A. Verse 5 – He recognizes that by human reasoning, his solution seems quite imbalanced (“For I am doing a work in your days that you would not believe if told”). That is because we have no true sense of how divine providence embraces all the actions of men within his decree so that, in a way perfectly consistent with his own infinite purity, “he works all things after the counsel of his own will” (Ephesians 1:11). God can take the evil actions of evil men and use them for his holy purposes. He knew that would be astounding to Habakkuk, though he had done so since the beginning of the operations of his eternal covenant of redemption. It still is astounding, and deeply perplexing, to many men today. 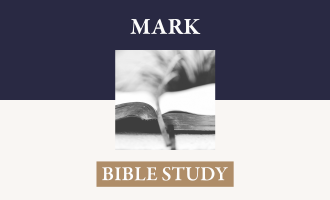 B. Verses 6-11 – God introduced Habakkuk to the nasty, self-centered, cruel, destructive Chaldeans as his instruments of righteous judgment on his disobedient people. 1. They are a people, in whose soul is a fully developed malice toward all other peoples, who are on mission to make any land within reach and all of its properties their own. 2. They have a self-generated idea of justice and pride and thus have struck fear into all people. Those that have no rule of conduct but their own supreme dominance may be trusted to deal ruthlessly with all people. Nothing hinders them in any action in order to obtain what they want. 3. verses 8-11a – The training for war has been driven by this insatiable desire for self-satisfaction. They have developed a war machine of horses and horsemen that is virtually an irresistible force. They have horses that are strong, fast, and trained for combat. They themselves are fierce and ready to trample anything in their path at the behest of their riders. Their horsemen have been so thoroughly developed for this task that they seem to be of one piece with the horse. Their fortitude and swiftness are remarkable so that they are able to cover long distances in short spaces of time. They can strike swiftly and with ferocity. There is not a bit of hesitance in their style. Any opponent that has any degree of uncertainty will quickly be overwhelmed by their relentless aggression. Armies that have sought to push them back and cities that have sought to construct protective barricades have found it impossible to resist their power, skill, and determination. 4. Verse 11 b – God sees them as guilty (though he will use them as his instrument of vengeance) and as perversely idolatrous whose only god is their own skill and strength. IV. Verses 1:12-2:1 – Habakkuk in utter incredulity, raises an objection and poses an “unanswerable” moral dilemma. A. Verse 12 – Habakkuk recognizes that the Holy One has indeed established this nation for reproof. He began the acknowledgement of his understanding this clear message, however, with an affirmation of God’s immutable character and a tacit reminder of his special covenantal position in God’s purpose. 1. God is self-existent and is “from everlasting.” There never has been when he was not. He is the One “who wert, and art, and evermore shall be.” His everlastingness implies his immutability. 2. He is holy; On this basis Habakkuk brings his disturbed soul to the observation of verse 13. The mixture of God and evil in accomplishing a divine purpose seems internally contradictory to the prophet. 3. He refers to Yahweh in terms of personal knowledge and relationship. “O Lord, my God.” His assertion, “We shall not die,” implies that he knows that the covenantal purpose of Israel, as now concentrated in Judah, has not been completed. 4. “You have ordained them for judgment. You established them for reproof.” That the Chaldeans, with their peculiar ferocity, would be the instrument of discipline seems counter to Habakkuk’s sense of justice. They should be judged, not judge. Also, God’s discipline toward David, the quintessential bearer of covenant promises, was placed on an entirely different premise. 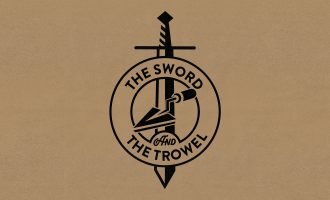 Through the prophet Gad, David was given three options and chose the “Sword of the Lord,” the sending of pestilence through an angel, rather than the sword of his enemies (1 Chronicles 20:11-13). He had the option of not falling into the hands of man. B. Verse 13 – He now complains about the solution that God has given in the same terms that earlier he had complained about the injustice among the people of Judah. 1. The holiness of God means, not only that he is separate from and above all other things, but that his intrinsic righteousness and absolute moral perfections require, not a collaboration with, but an indignant judgment of transgressors: “You who are of purer eyes than to see evil and cannot look at wrong,” that is, cannot look on it so as to tolerate it. 3. 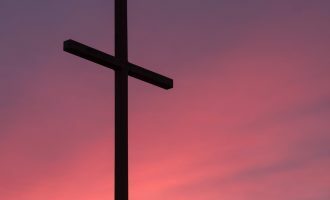 Habakkuk is measuring moral issues within the framework of a highly limited perspective, one that is straitened by the relative position on a moral scale of the two nations. He is measuring them against each other and does not have the perspective of a redemption in which the just dies for the unjust. Nor has he considered that the delay of God in issuing his absolute judgment is an example of redemptive patience. God will not manifest the perfect equity of his judgment until his redemptive purpose is perfected. It is so with each elect individual, (1 Timothy 1:16), and it is so with this present order of the entire cosmos (2 Peter 3:8-13). This is one of the lessons in which the prophet’s knowledge will grow in maturity. C. Verse 14, 15 – In this judgment engineered by God through this godless nation, God is treating people as of no more value than fish in the sea, so argued Habakkuk. In college, I heard a friend, on his way to agnosticism, issue a similar complaint about God: that he seemed to have less compassion for the dismal condition of the suffering than my friend. Though Habakkuk is not on the road to philosophical infidelity, his assumption about God harbors two errors (at least). 1. 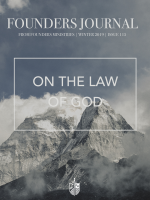 One, He cannot reconcile God’s pure holiness and faithfulness with his freedom to administer punishment, and/or discipline, in any way he chooses so long as it does not violate any standard of justice toward the one that is receiving such chastening. 2. Two, he attributed to himself both greater compassion and more accurate moral perception than he attributed to God. How frequently this error is made, even by pious people, is one of the lessons of the book of Job. D. Verse 16 – This people do not recognize any thing about God, but only worship their own instruments of war. That such gross idolators could be instruments of the holy purposes of God did not fit Habakkuk’s presuppositions. E. Verse 17 – They seem to have such strength that they can do this without any hindrance. Note the emphasis on the apparently invincible and perpetual displays of power. “Keep on emptying . . . mercilessly killing nations forever” If God is using them, is he a party to their cruelty? If God only uses present human instruments to bring judgment, how will he bring this seemingly unstoppable force to a halt? F. Habakkuk stationed himself to be ready to receive God’s answer. He also seemed to think that he would be ready with a follow-up response. Perhaps Habakkuk even felt that he could bring God around to his way of thinking about this issue. A. Verse 2 – Habakkuk was instructed to write the vision so plainly that a person running by could read it. Habakkuk was to know that the God to whom he spoke was not clueless about the issues that seemed so disturbing and incongruous. He did not hide it from any that cared to know what he had decreed. B. Verse 3 – The message that God is giving will come to pass at its appointed time. Though only now revealing this particular event in time, it has been decreed from eternity as one element of God’s infinitely wise governance of the world. It is so intricately and vitally interwoven with an entire series of events that every moment brings the events nearer. Though it seems to delay in light of the apparent power and success of these people, when all things are rightly ordered in God’s time, their judgment will descend. They had served the purpose of punishing the evil nation of Assyria, and now would be used to punish Judah. Soon, however, when God’s decreed time was right, Babylon itself would fall and feel the displeasure of God. C. God contrasts two lifestyles Implied in this entire dialogue. 2. “The righteous shall live by his faith,” that is, his abiding attitude of trust in the righteous provision of God. This verse is quoted in the New Testament in Romans 1:17, Galatians 3:11, and Hebrews 10:38. For Habakkuk this meant that he must acknowledge and live in light of the truth that God is righteous and will vindicate his righteousness before the eyes of all men (see 2:14, 20). 3. The application of this principle in the New Testament is that one receives the redemptive provision of God by trusting in the righteousness of Christ as revealed in his propitiatory death (Romans 3:21-26) As Habakkuk learned that he must trust that, even though there seems to be delay and present difficulties, God’s righteousness will be vindicated, so in the death of Christ, the most horribly unrighteous act at the human level, God’s righteousness will be vindicated in the forgiveness of sins through Christ’s substitutionary atonement.